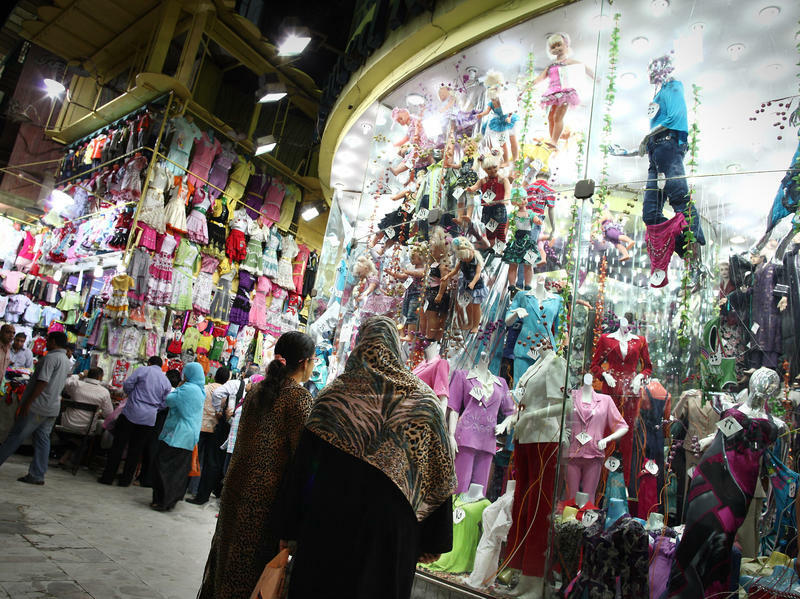 Two years after the revolution, Egypt is in a deep economic crisis. It's running out of money to purchase crucial imports like wheat and fuel, both of which are subsidized by the government, and an infusion of cash is desperately needed. 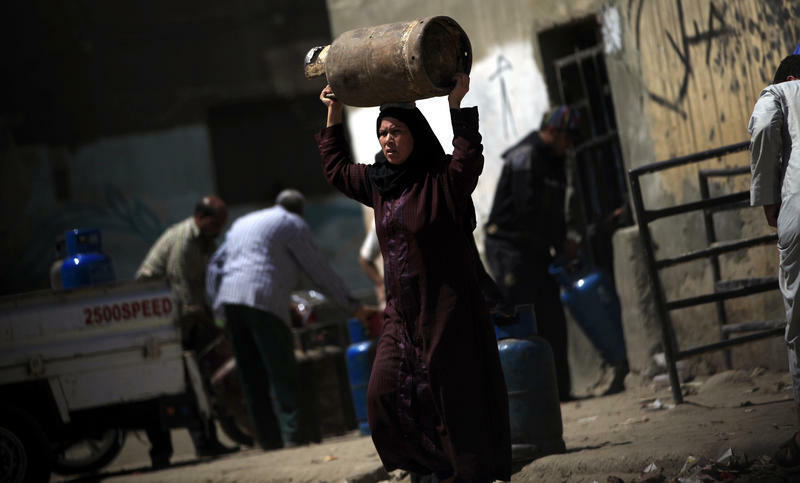 While a delegation from the International Monetary Fund is in Cairo continuing negotiations on a $4.8 billion loan, Egyptians are strained by the rising costs of food — and the gas needed to cook it. For Mosaad el Dabe, it's a disaster. In the lush Nile Valley city of Assiut, the police went on strike earlier this month, along with thousands of other cops across the country. They demanded the ouster of the minister of interior, and more guns and equipment to deal with anti-government protests. 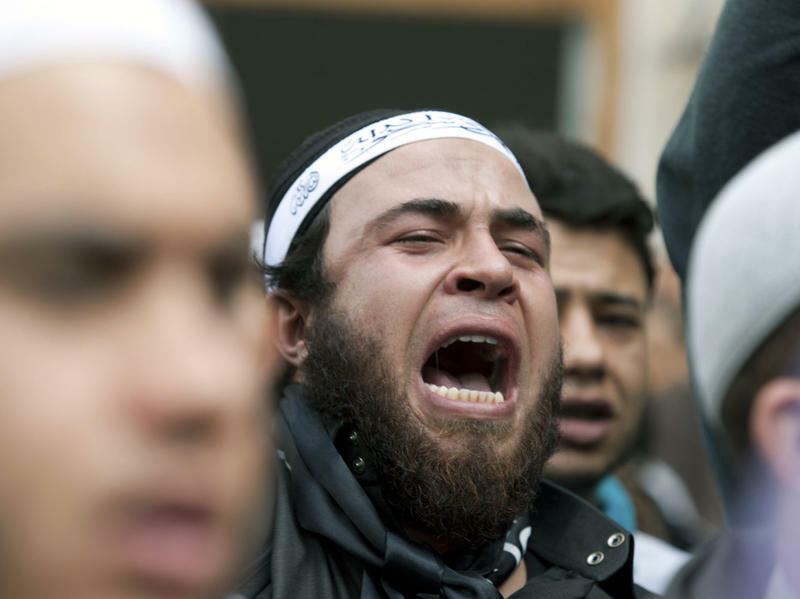 A group of hard-line Islamists then stunned the city, which is south of Cairo, by promising to handle security during the strike. The next day, the policemen were back at work. 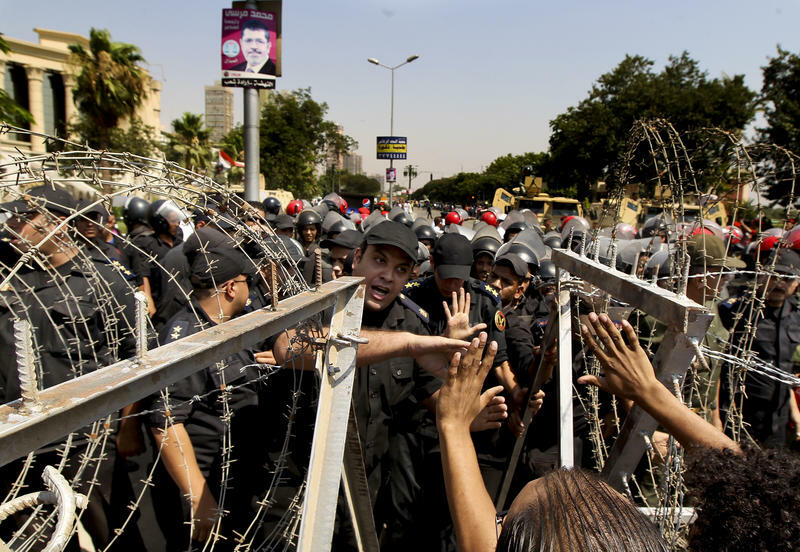 Egypt's police force was the underpinning of former President Hosni Mubarak's iron-fisted regime, and it quickly became the enemy of Egypt's 2011 revolution. Yet there has been little to no reform of the police force to date. Human rights groups say the police have begun to act like armed gangs, laying down collective punishment in restive areas across the country. But the police say they are the victims, under constant attack by anti-government protesters. 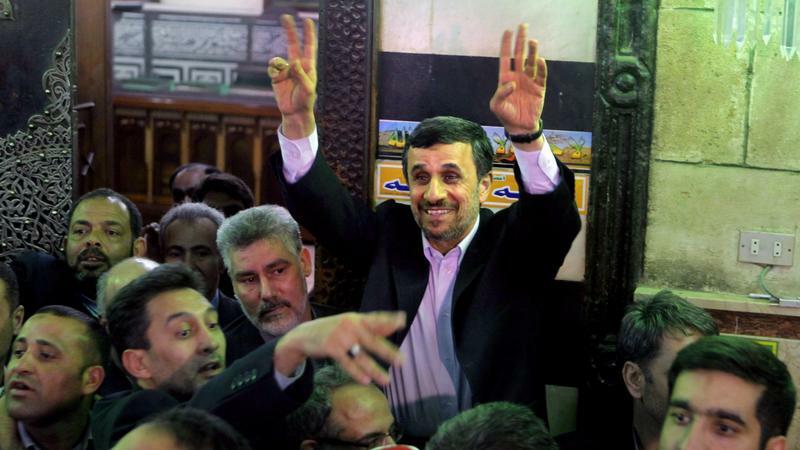 President Mahmoud Ahmadinejad on Tuesday became the first Iranian leader to visit Egypt since the 1970s, the latest sign of the thawing of relations between the rival Muslim nations. Ahmadinejad received a red-carpet welcome as Egypt's President Mohammed Morsi greeted him on the tarmac at Cairo International Airport with a kiss on each cheek. Under Egypt's former leader, Hosni Mubarak, a visit like this would never have happened. 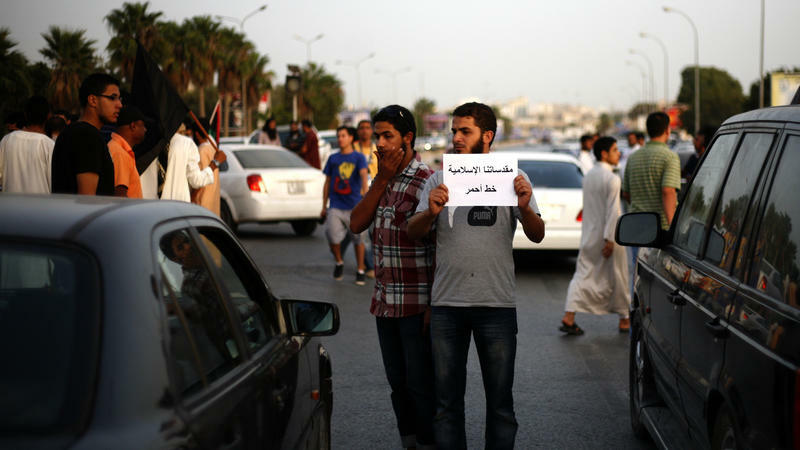 The uprisings of the Arab Spring unleashed a new political force in the region — Salafis. These ultra-conservative Muslims aspire to a society ruled entirely by a rigid form of Islamic law. Their models are the salaf, or ancestors, referring to the earliest Muslims who lived during the lifetime of the Prophet Muhammad. To their critics, the Salafis are religious fanatics who are trying to drag the region back to 7th-century Arabia. But the Salafis maintain that they are offering the purest alternative to the dictatorships that have long dominated the region. Egypt's constitution appears to have passed with 64 percent of Egyptians voting "yes," according to preliminary results issued by state-run media. But the document passed under a cloud of controversy as the opposition to the Islamist-backed document cried fraud. 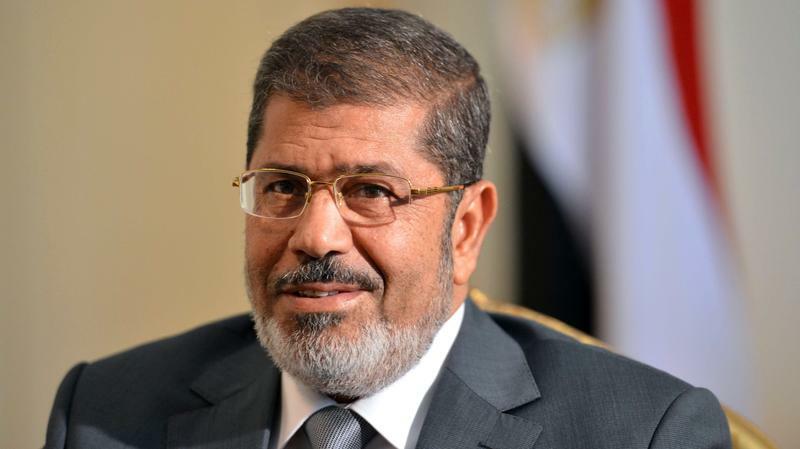 Is Morsi Morphing Into Authoritarian He Opposed? When Egyptian President Mohammed Morsi was elected, some Egyptians jokingly referred to him as the Muslim Brotherhood's "spare tire." He was the backup candidate of the Islamist organization, whose first choice for the presidency was barred from running. 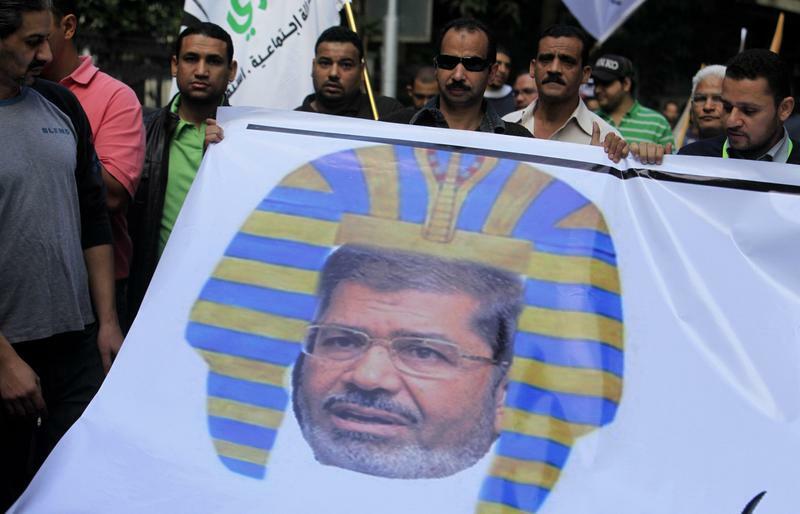 But Morsi has proved much more formidable than many Egyptians believed. 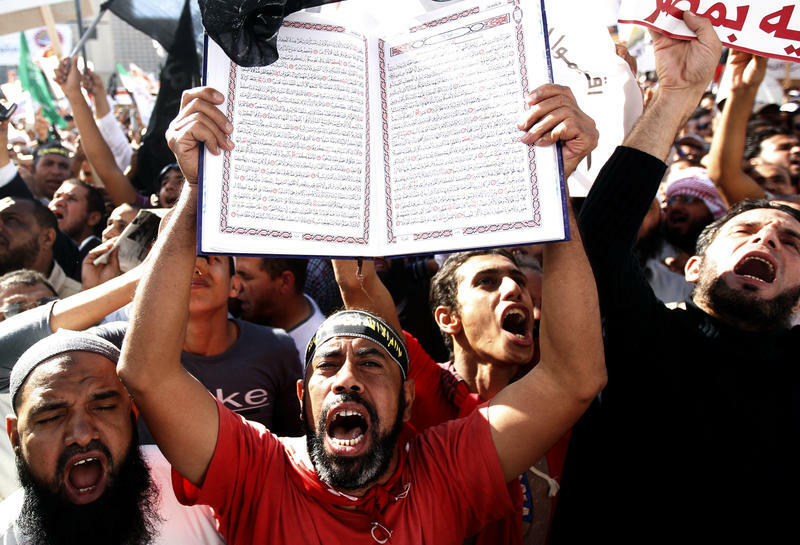 And in Egypt, a panel of Islamist lawmakers has approved a new draft constitution, but what should have been a welcome step in the country's transition to democracy is instead mired in controversy. 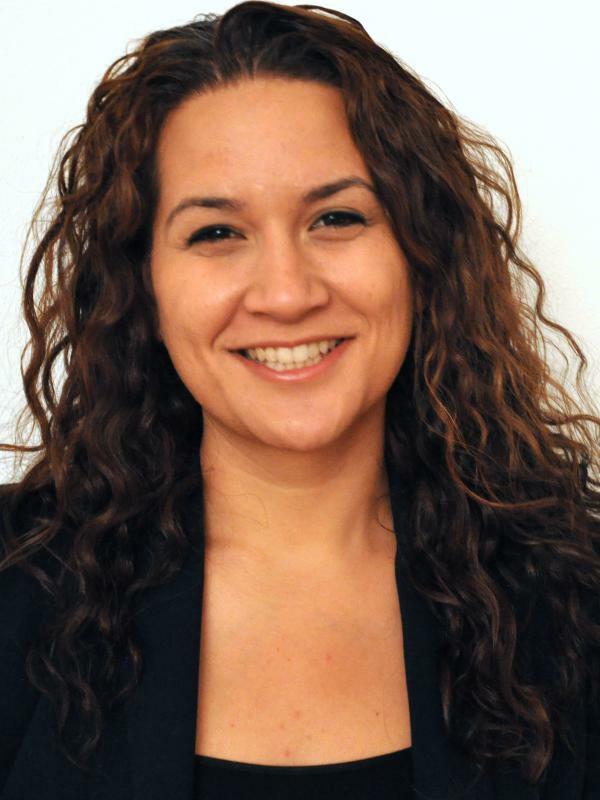 NPR's Leila Fadel has our story from Cairo. After a series of controversial decrees by Egypt's President Mohammed Morsi, the country's judges are conflicted over what to do. The president and Egypt's highest judicial authority met Monday to try to resolve the crisis, but the decrees, which essentially nullify judicial oversight, remained in place. And the judges are going ahead with plans for a strike. Yussef Auf has been a judge for 10 years and says he has never witnessed such an affront to his profession. Cairo's Tahrir Square was nearly empty as the sun rose Saturday. A few demonstrators camped out overnight after mass protests on Friday condemned controversial decrees by Egypt's President Mohammed Morsi. Earlier this week, Morsi gave himself unchecked powers until a constitution is written and passed by a popular referendum — in about two months. He also decreed that neither the body writing the constitution nor the upper house of Parliament could be dissolved by the courts. It's WEEKENDS on ALL THINGS CONSIDERED from NPR News. I'm Guy Raz. 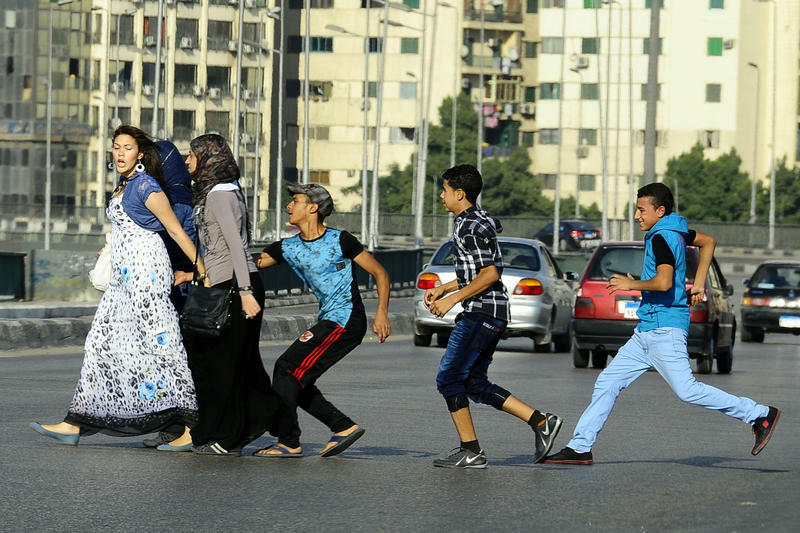 Over the recent four-day Muslim holiday of Eid al-Adha, more than 1,000 sexual harassment complaints were filed in Egypt. President Mohammed Morsi has ordered an investigation, but some are not prepared to wait for the government and the police to act. Will The '24-Hour City' Of Cairo Call It A Night? When the sun goes down, Cairo bursts to life. Men play backgammon and smoke water pipes. Young fashionistas meet friends for midnight coffees. Families go shopping with small kids in tow. Life in the Egyptian capital is lived at night. Last year, one study rated Cairo the "most 24-hour city" in the world. New York City trailed far behind at No. 32. Violent protests in eastern Libya have set in motion a movement to take back the nation from dozens of militias born from the revolt against strongman Moammar Gadhafi. 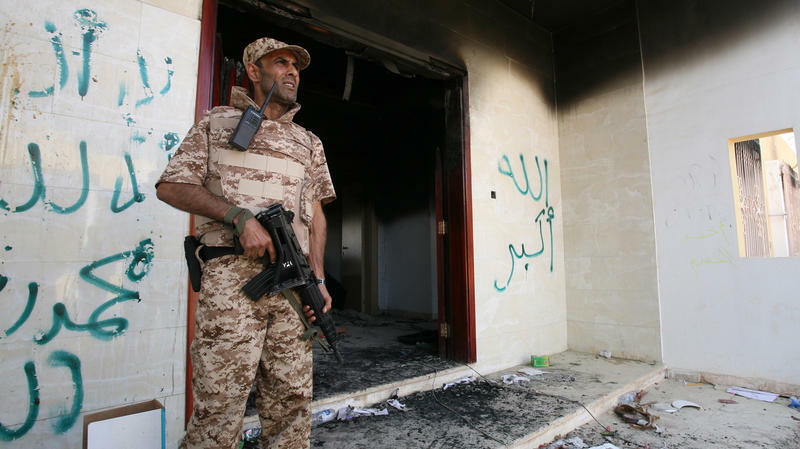 Since the dictator's demise, Libya has been beholden to men with guns. The transitional state is weak, and it depends on the militias to help secure the streets. The state has now promised to integrate the militias into the security forces. Two days before the deadly Sept. 11 attack on Americans in Libya, three U.S. officials met pro-government militias working to provide security in the city of Benghazi. In that meeting, which included the American economic and political counselors, Mohammed el Gharabi, a leader of a prominent militia, says he warned the Americans that the security situation in Benghazi was deteriorating. Assassinations are becoming rampant; no one is safe, including militiamen like himself, he says he told the Americans. Ansar al-Sharia, the ultraconservative armed Islamist group accused of taking part in the attack that killed the U.S. ambassador and three other Americans in Benghazi, Libya, denies it was involved. But the group's leadership stopped short of condemning the deadly attack. A top U.S. counterterrorism official says they are looking at the group in connection with the assault. 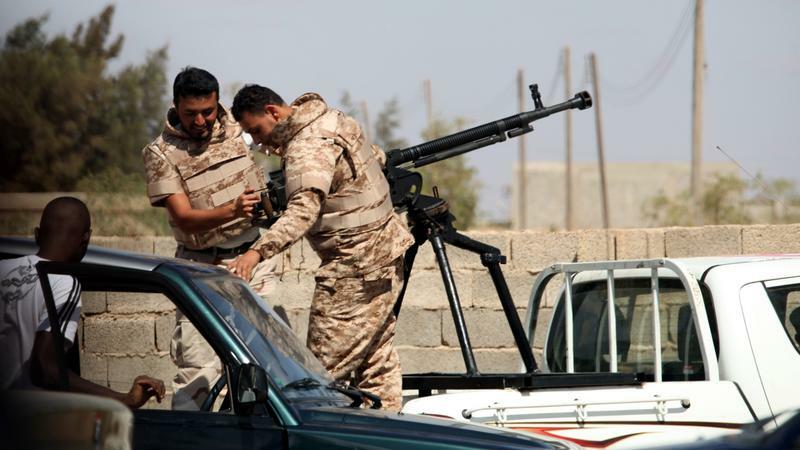 Ansar al-Sharia is one of the most powerful Islamist militias in eastern Libya. The brigade claims hundreds of men who fought, with U.S. and NATO support, to unseat strongman Moammar Gadhafi last year. Libya's president says he believes al-Qaida is behind a deadly attack in eastern Libya that killed U.S. 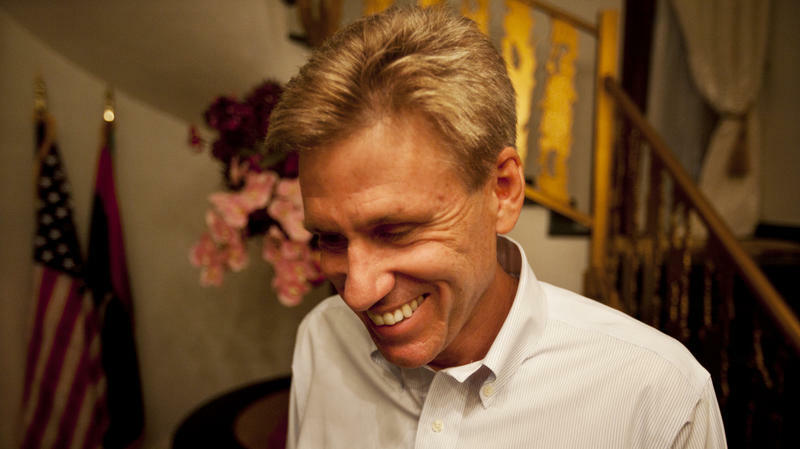 Ambassador Chris Stevens and three other U.S. staffers. In an exclusive interview with NPR in Benghazi, President Mohammed el-Megarif says foreigners infiltrated Libya over the past few months, planned the attack and used Libyans to carry it out. Egypt's new Islamist president, Mohammed Morsi, has made sweeping promises to the Egyptian people, saying he'll improve the quality of their lives during his first 100 days in office. Morsi has been busy on several fronts, but he has only a few weeks left to fulfill those big pledges. His promises have come in nightly radio broadcasts during the holy month of Ramadan. A decent loaf of bread is a demand for us all, he declared in one of those broadcasts, saying subsidized bread will be more widely available and of better quality.